One has to feel pity for white conservatives. Or more succinctly: conservatives. They’ve been duped, conned, gulled, and otherwise played so thoroughly it’s like watching a mildly retarded kid have his head strapped in a paint shaker, while getting kicked in the nuts, covered in honey, and then tossed on an ant hill. Though it is a pity tempered. 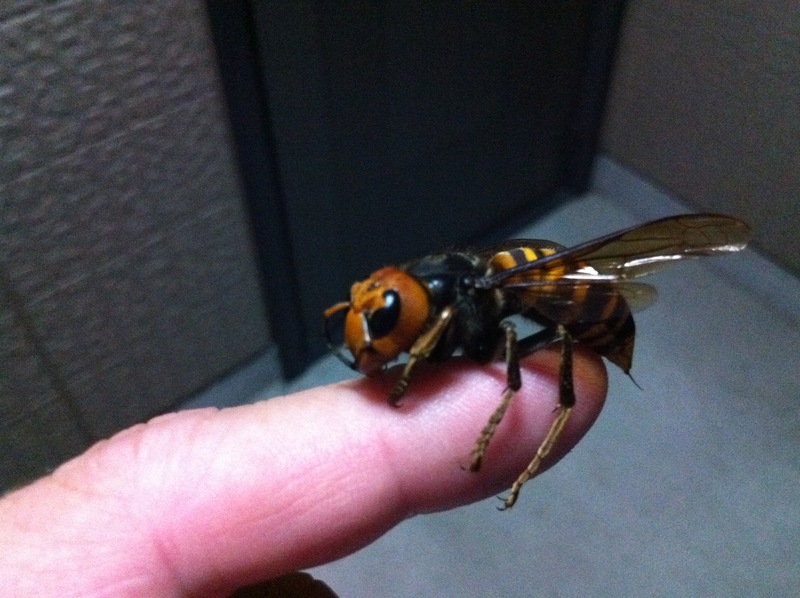 For the moment one tries to extricate him from this excruciating spectacle, he lashes out in defense of his tormentors and confidently asserts his readiness to have that Japanese hornet inserted down the front of his underpants. And what’s your problem with paint shakers, bigot? What can be done with such as this? While they labor diligently to defend the works of the left, it’s still difficult to feel no unrequited fellowship with these people. Because many of us were once them. And we know the contours of this barricaded mental alley. They do want to conserve their father’s inheritance and bequeath it to their children. They know much is being lost. They are not blind to the ruination. And they agonize quietly in the watching. They understand the destination, but the path is blocked. And it is blocked because they are forbidden to consider race, or defend their own. So they flail and scamper about…Small government! Low taxes! Abortion! Guns! God! None of these topics should be diminished as valid concerns. Though in their misaligned targeting conservatives continually reach; but never grasp. And all of these items they claim to hold dear disintegrate before them as their racial replacements hold none in esteem. So they want to conserve, but can’t be racist…conserve, but can’t…con, can. This series followed by a wisp of white circuit board smoke as the irreconcilable dissonance is shuttled behind the football lobe of the brain. And like automatons they chant the Rs: racism reprehensible repugnant. Though the principle lingers always unaltered. There is one avenue to conserve your culture: conserve your people. And stop thinking conservatism comes in a mainstream magazine. CPAC, or the Conservative Political Action Conference, should change its name to RPAC, with “R” for Republican. To the extent that CPAC takes any real positions, they are the two branches of Republicanism. One is small government/low taxes, and the other is “social conservatism,” which means fighting homosexual marriage, women in combat, and abortion on demand. Gun rights and religion are part of the package. Race, officially, doesn’t matter at all. Although no one at CPAC probably realizes this, there are several countries that practice their brand of conservatism almost perfectly. They have small governments, levy few taxes, and are socially conservative enough to suit Sarah Palin. They are also hell holes. Somalia and the eastern Congo are almost pure CPAC; Haiti and Eritrea come close, as do the Tribal Areas of Pakistan. In some of these places, it’s hard even to imagine smaller government or lower taxes, and they certainly don’t have homosexual marriage or women in combat. In Somalia and the Tribal Areas, abortion is unheard of, and there is a strong public affirmation of religious faith—CPAC-ers should love that. Those places are ideal by NRA standards, too. No Class-3 firearms licenses required; everyone goes full auto. You could probably pick up a 20-mm canon in Mogadishu or Peshawer. Somehow, though, I don’t think Wayne LaPierre is likely to move to either place. Republicans don’t seem to be attracted to these “conservative” paradises. What, by CPAC standards, would be the worst country to live in? Probably Denmark, Norway, or Sweden, with their high-tax nanny states, hatred of guns, and homo-lesbo-atheist decadence. But if any of the thousands of people who attended CPAC had to find a new home, these cloying tyrannies would probably look attractive. Why is it that countries that follow CPAC’s principles are miserable and getting worse, while countries that violate them are doing well and getting better? Doesn’t that utterly refute “conservative” politics? For anyone who officially agrees that race doesn’t matter, there is no way out of that box. The left could get a lot of mileage out of rubbing Republican noses in the difference between Haiti and Denmark, because today’s Republicans have neither the brains nor the backbone for the obvious reply: White people build nice places to live, and black people don’t. If CPAC-ers want to conserve anything they really care about, they first need to understand that they have to conserve a people. Without whites, nothing they think they are fighting for has a chance. Republicans could get Congress to pass every law they ever dreamed of, but it wouldn’t make any difference in an America that was a multi-culti hash. Immigration, of course, and the amnesty that even “conservatives” now endorse lead straight to multi-culti hash. Unless Republicans wake up to what really must be conserved, they will disappear along with the country. This is where the conservative mind, such-as-it-is, should pause. If their battery of prescriptions doesn’t result in that which they want to conserve, then strategy should be reevaluated. And perhaps in the doing they should heed less the counsel and cries of those who view their existence as an inconvenience. For if not, their children will inherit only a petri-dish of hostile foreigners. And if this dystopian goulash were to feature low marginal tax rates and legal AK-47s, would their loss be assuaged? Someone should ask. Conservatism is a well-armed white enforcing the results. Watching conservatives going about their business is like watching a group of engineers at work who’ve been forbidden to acknowledge the existence of gravity. Not alone that – any suggestion that it exists is to be considered evil. Bridge collapses? Plane made of lead with no engine falls to earth? Don’t mention the G-word! There is no right wing in America, as least not by the standards where I come from. It’s time to put away equality, tolerance and empathy for bigotry, greed, and hate. No, I’m not being sarcastic. Those are the traits that build & maintain civilization.